So this baby malarkey is getting a little bit real now! Im 33 weeks and quite frankly I have kind of put the impending arrival to the back of my mind. Not that im not excited but having James has kept me busy and on top of that we have moved house! Well I finally decided I should maybe start getting prepared lol so I picked up my sterilizer, washed some clothes, blankets and the car seat covers and set up the crib last weekend. Then today my pushchair arrived! 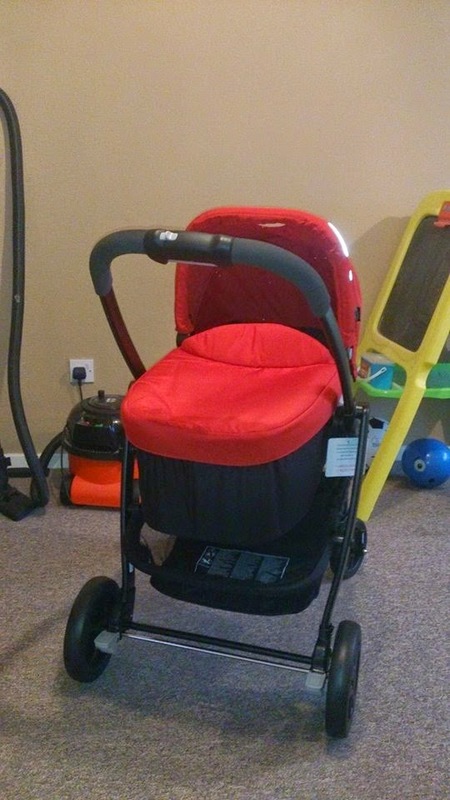 I visited a few shops (Mothercare, Kiddicare etc) to try out a few different ones but finally settled on the Graco Evo pushchair with the carrycot attachment in Chilli (Red). 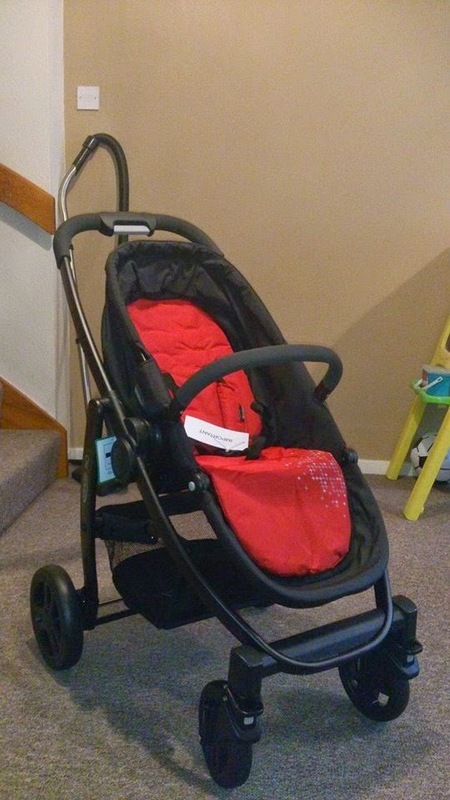 It seemed to tick all the boxes for us, Lightweight, reasonably priced, folds down quite small and has a big enough basket to fit peanuts and James things in when we go out and about. 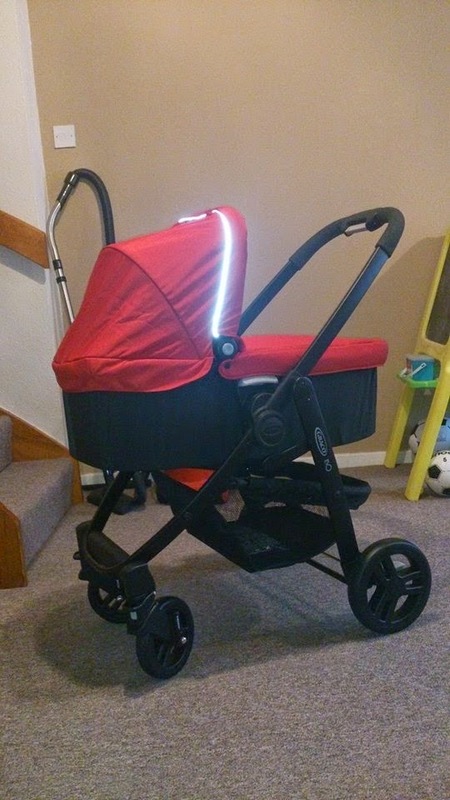 I ordered from Kiddicare in the end as they had a spring clearance and we got it for a fantastic price of just £200! I ordered online Saturday night and it turnt up Monday morning! I couldn't resist but to put it together as soon as it arrived (James was at nursery) so off I set with my manual and no clue lol! and as a pushchair for when peanut is a little older (I need to attach the hood yet and the seat can be forward or parent facing) .. I cannot wait for peanut to arrive now so we can give it a try! !